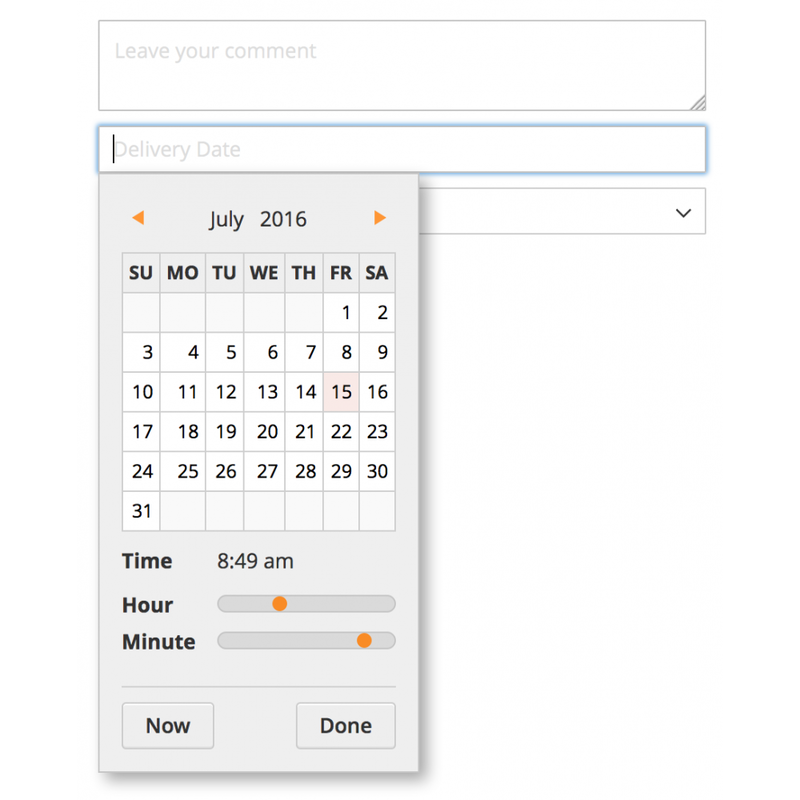 Simplify the checkout process for the customers on your Magento 2 store with the One Step Checkout extension. This extension allows you to convert the standard checkout in your Magento 2 store with multiple steps into a single step checkout. 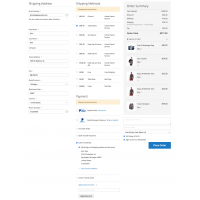 Uses Magento 2 standard checkout logic to increase the compatibility with most third party checkout related extensions. 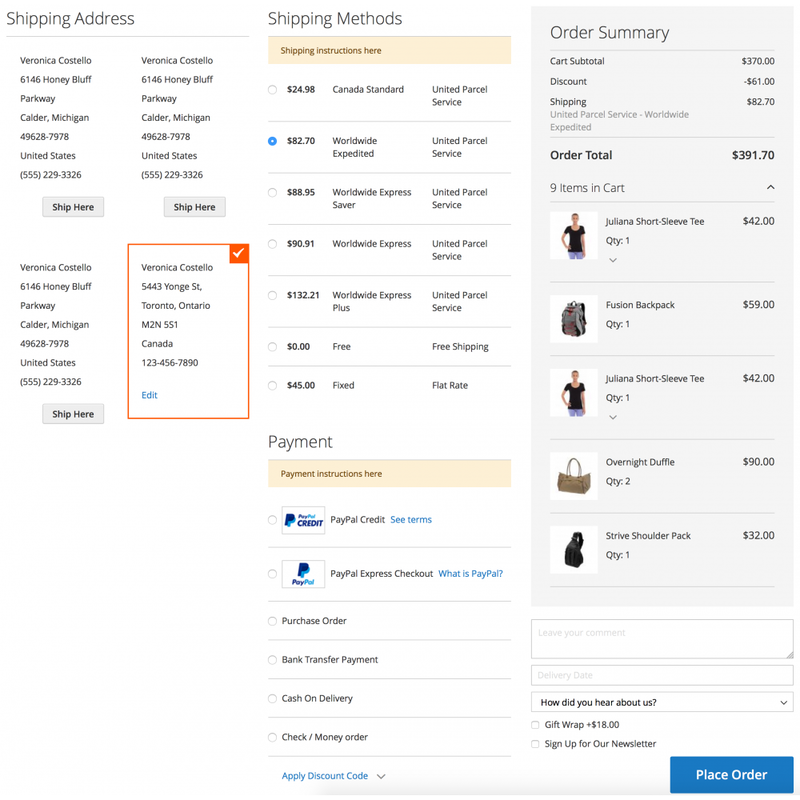 Compatible with payment and shipping methods that work with standard Magento 2 checkout. 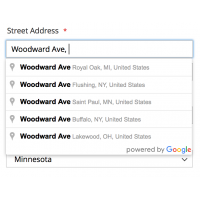 Integrated Google Address Suggest to search and fill address with ease. 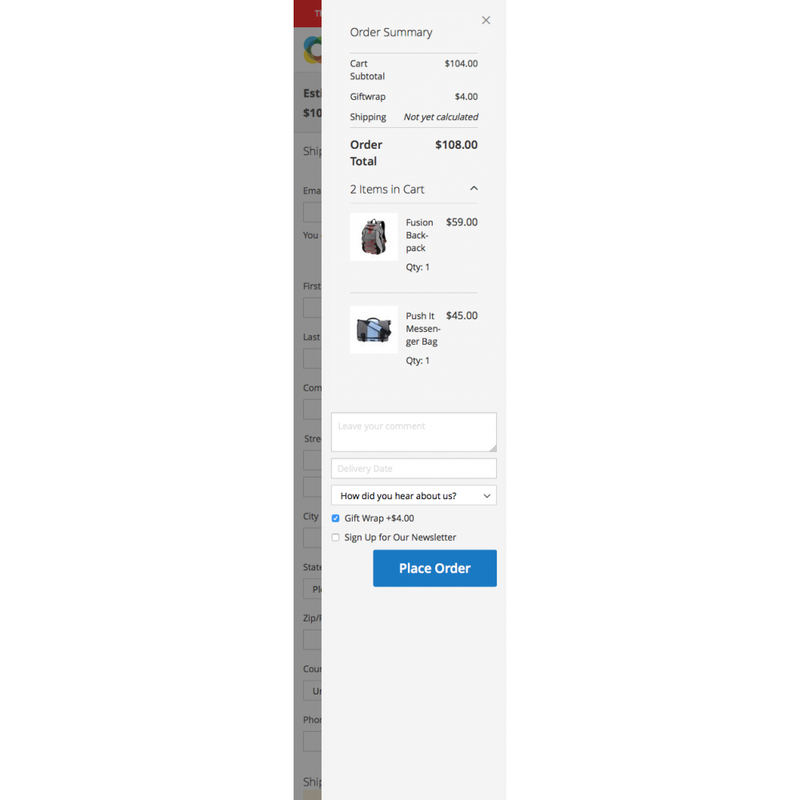 Why use one step checkout? 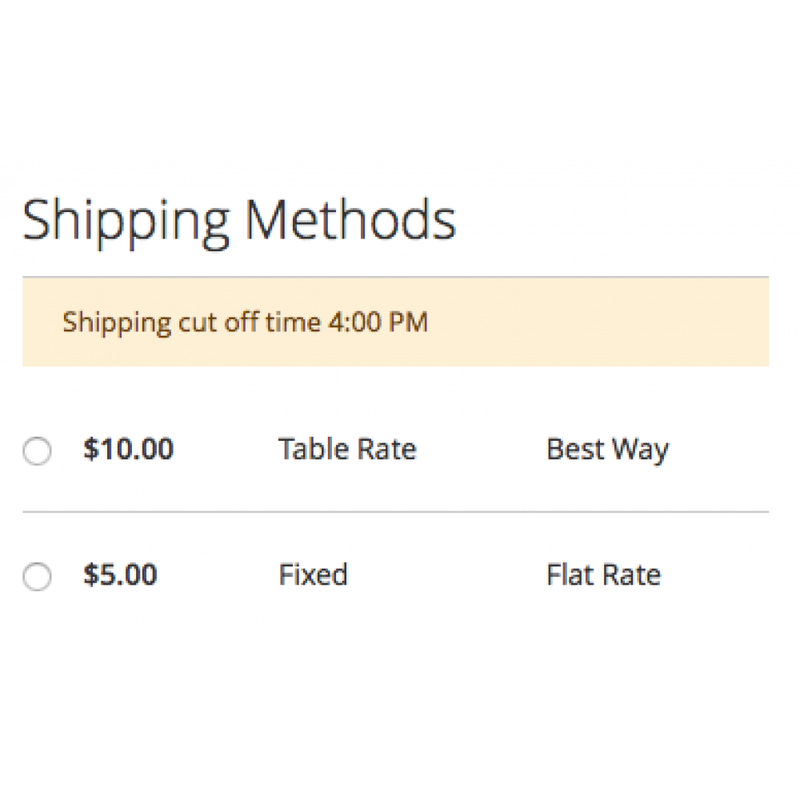 A simplified checkout is one of the most import factors in deciding the conversion rate of your store. Nobody wants to buy a product if the process is lengthy and tough. Average shopping cart abandonment rate for online retail stores is around 68%. This means approximately 7 out of 10 people leave after deciding to purchase from your store. 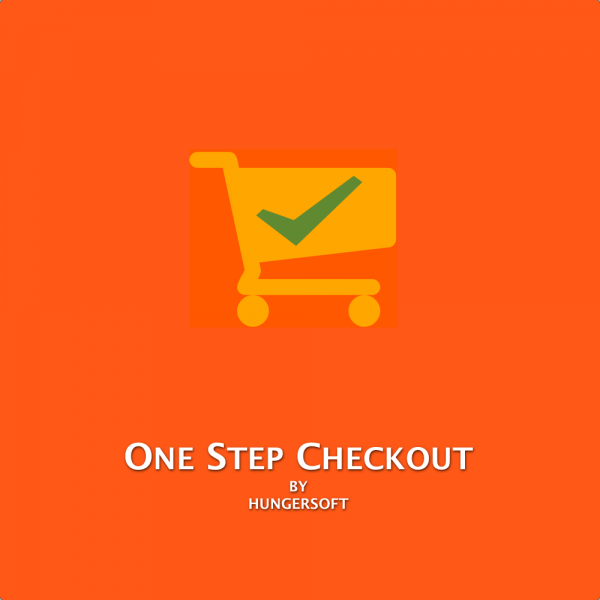 Why choose One Step Checkout extension for Magento 2 by Hungersoft? 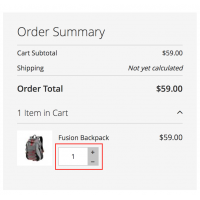 Our One Step Checkout extension allows you to convert the standard checkout in your Magento 2 store with multiple steps into a single step checkout. 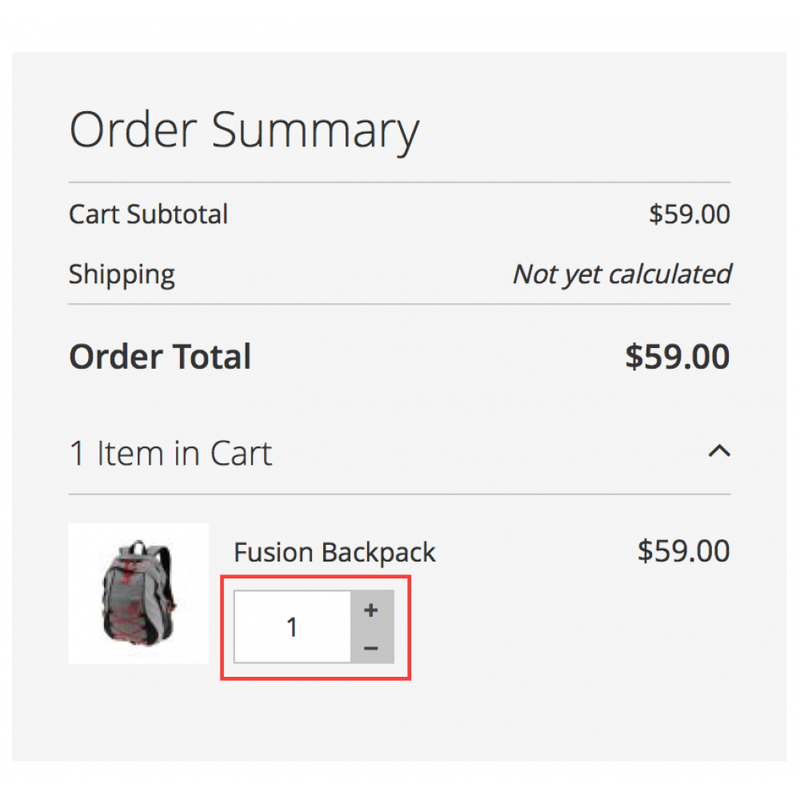 This extension uses as much of the Magento 2 checkout logic as possible without building the entire checkout flow from scratch. This increases the likelihood of most of the third party features and extensions developed for the standard Magento 2 checkout working without issues in the One Step Checkout process. 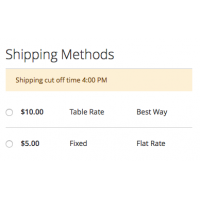 About 25% of the cart abandonments are because of unavailability of payment options, and this extension reduces the risk of third party payment option clashes by a significant margin, allowing you to offer any payment method you want without having to worry about whether the method will go well with One Step Checkout. 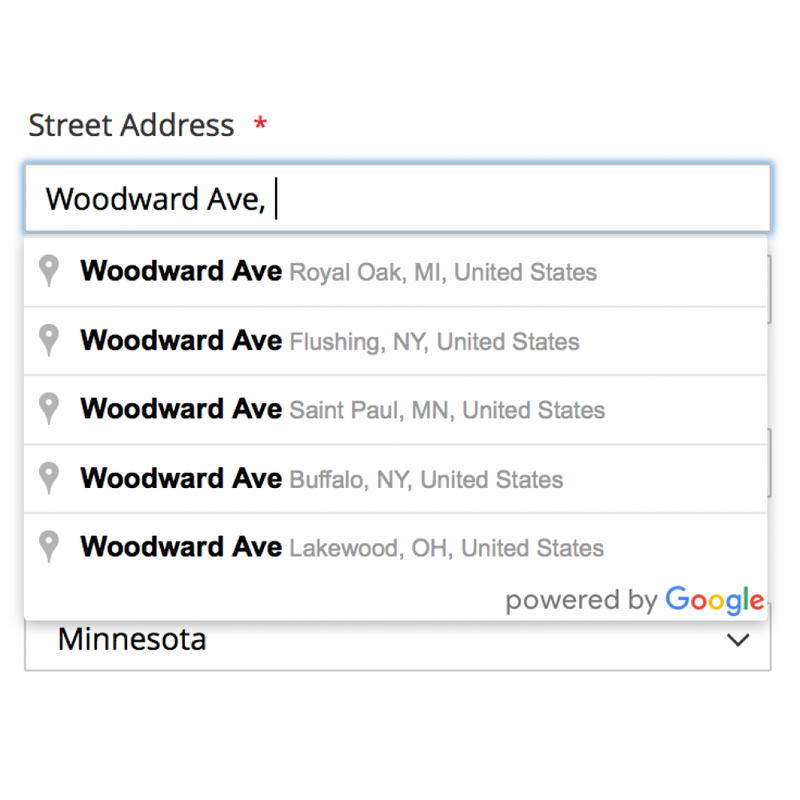 The order in which the standard address fields appear in the frontend can be configured. 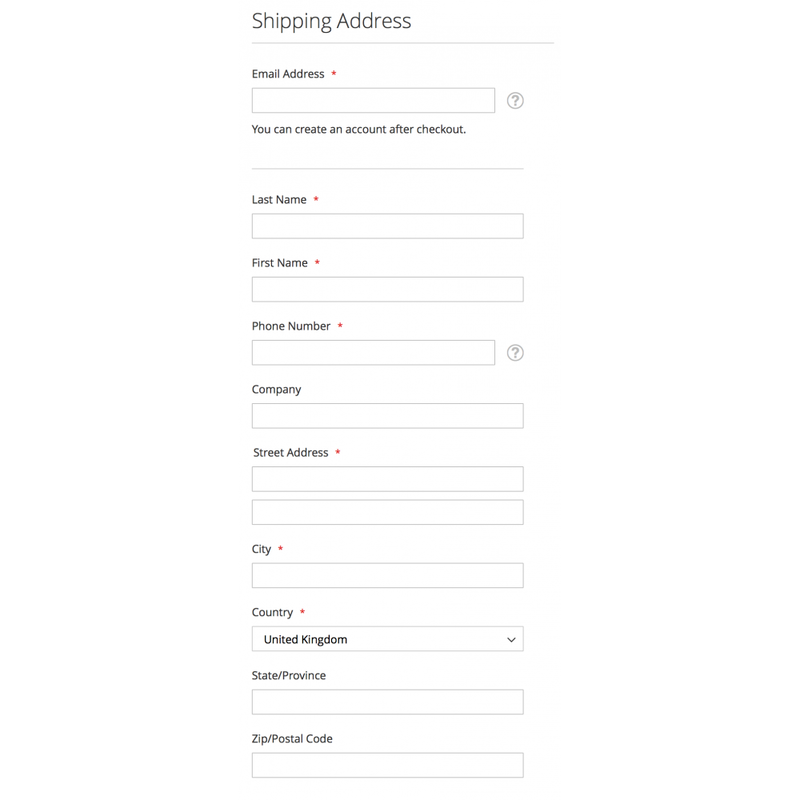 The order of the fields will be changed as configured for both shipping address and billing address. Google address suggest integration makes entering the address information in the checkout fields much simpler. This feature gives the customers selectable address suggestions which when clicked fills in the rest of the applicable address fields. The feature also comes with geolocation and autofill address, both of which can be configured from the admin. Geolocation provides the customer with more relevant address suggestions based on their current location and autofill address when enabled enters the available address details of the customer based on their current location. Billing address will be updated when the shipping address is changed and the same will be reflected in the payment method section. 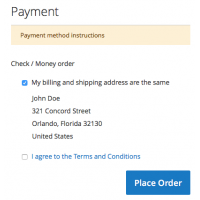 Selecting a payment option will display a formatted billing address. Billing address by default will be same as the shipping address, which can be changed by choosing to have a different billing address, by un-selecting the checkbox. Standard Magento Terms and Conditions feature works with our extension. Terms configured to display in the frontend will be displayed. Clicking the Terms link in the payment method section will open a popup with the appropriate terms as configured. 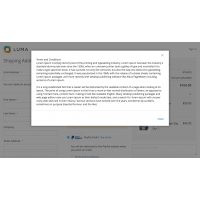 Display option shipping method instructions. The instruction can be customized in the admin. 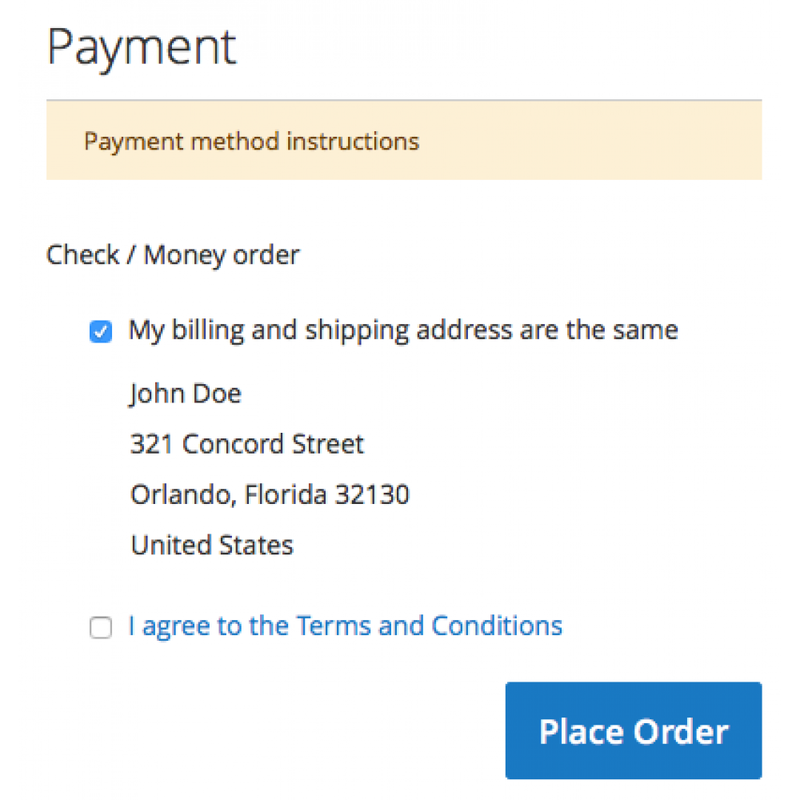 Similar to the shipping method instructions, payment method instructions can be displayed in the payment method section of the checkout. 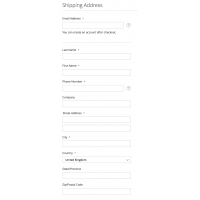 Discount codes can be easily applied from the checkout page without going back to the cart page. Discount applied will be displayed in the order review totals. 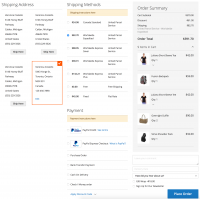 Customers can easily view and edit their cart right on the checkout page. 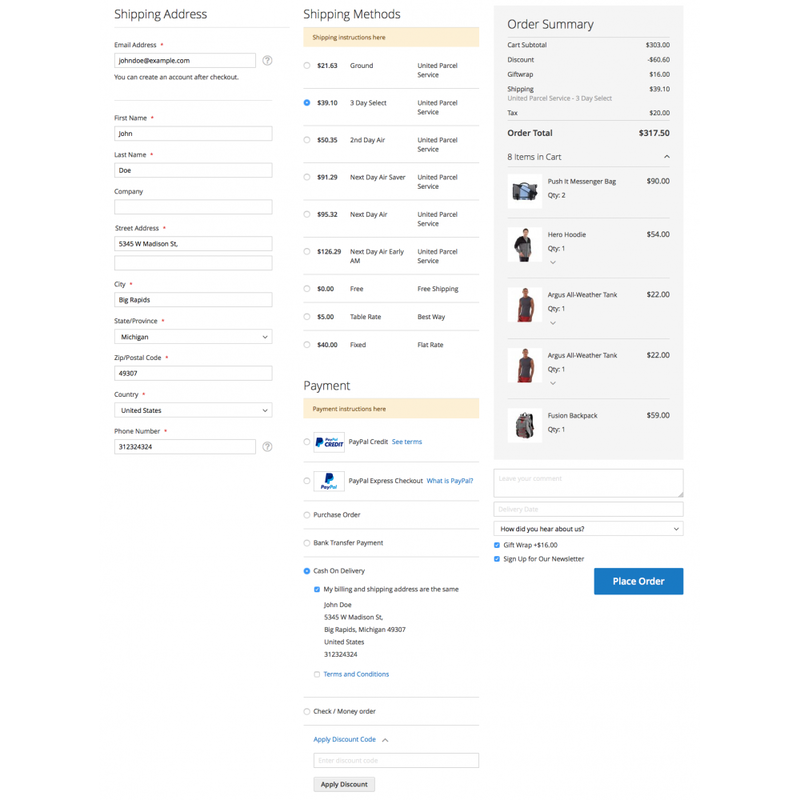 This eliminates the hassles of going back to the cart page, editing the cart and then visiting checkout page again and filling in all the information previously entered again. When a customer edits their cart quantity, the review totals are refreshed and new totals will be displayed accordingly. The order totals are displayed in this section. 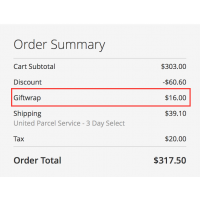 All the appropriate totals such as cart subtotal, giftwrap fee(if configured and selected by the customer), discount amount, shipping fees, taxes applied etc. will be displayed here along with the entire order total. 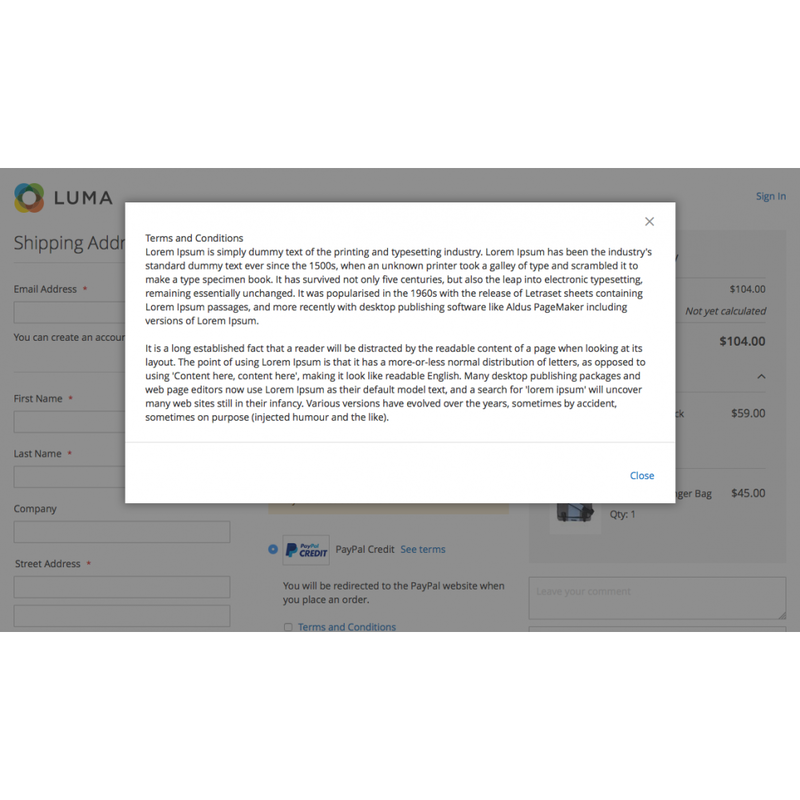 This section will be updated everytime any appropriate change is done on the checkout page. 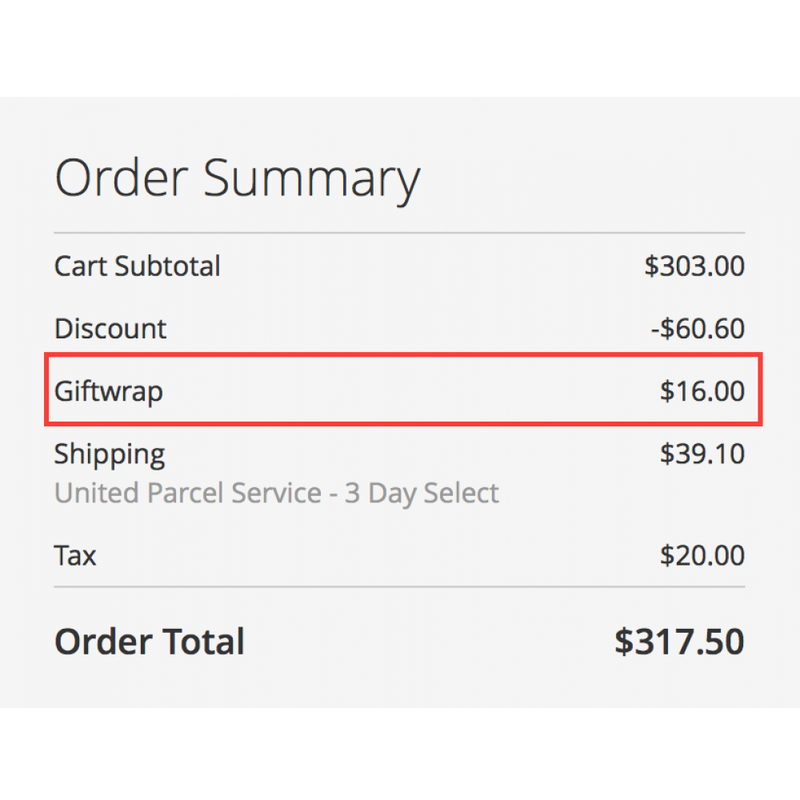 For example: When the customer chooses or changes a shipping method, when the customer applies a discount code, when gift wrap option is selected or any other action that requires reloading the order totals. 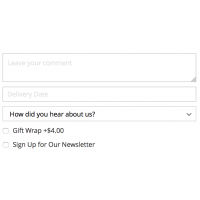 One Step Checkout extension also provides you with a few additional order related fields such as delivery date and time, order comment, gift wrap and survey. These fields can be configured in the admin. Survey field allows you to specify the question and the answers as selectable options. It allows provides you with an option to choose other, which will display a text field for the customer to answer the question. Option other selected for survey question. 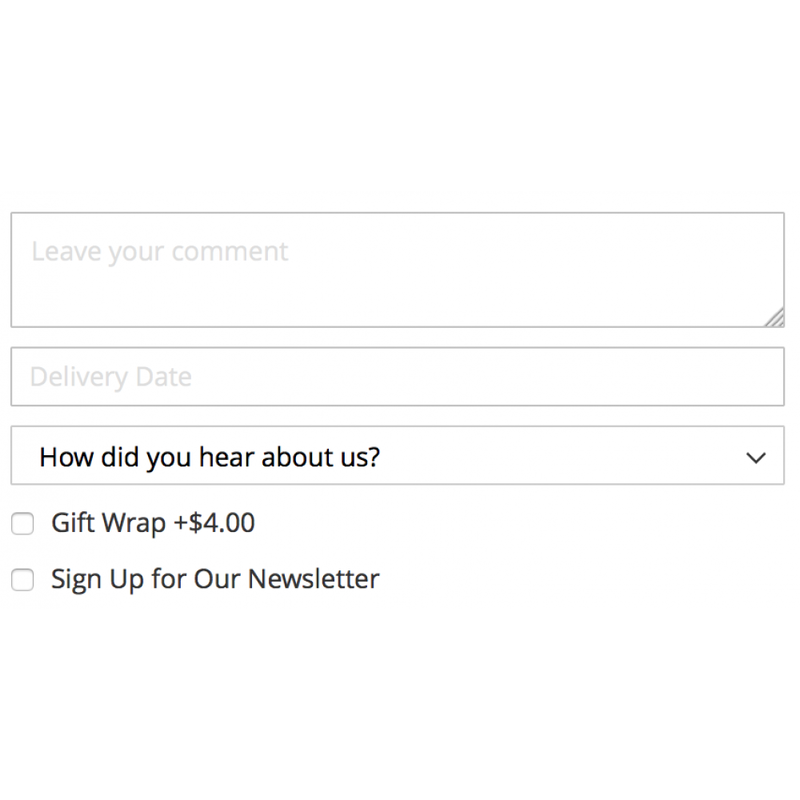 Newsletter subscription option can be enabled in the admin, which will allow the customers to subscribe to the newsletter directly on the checkout page. 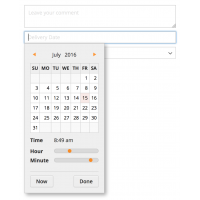 Delivery date and time field displays a date and time picker in the to select the date and time with ease. 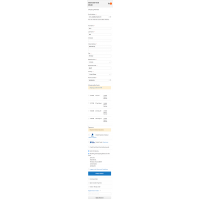 Place Order button can be configured to display either in the payment method section, which is the standard Magento way. Or, it can also be configured to display at the end of the review step after the additional information fields. 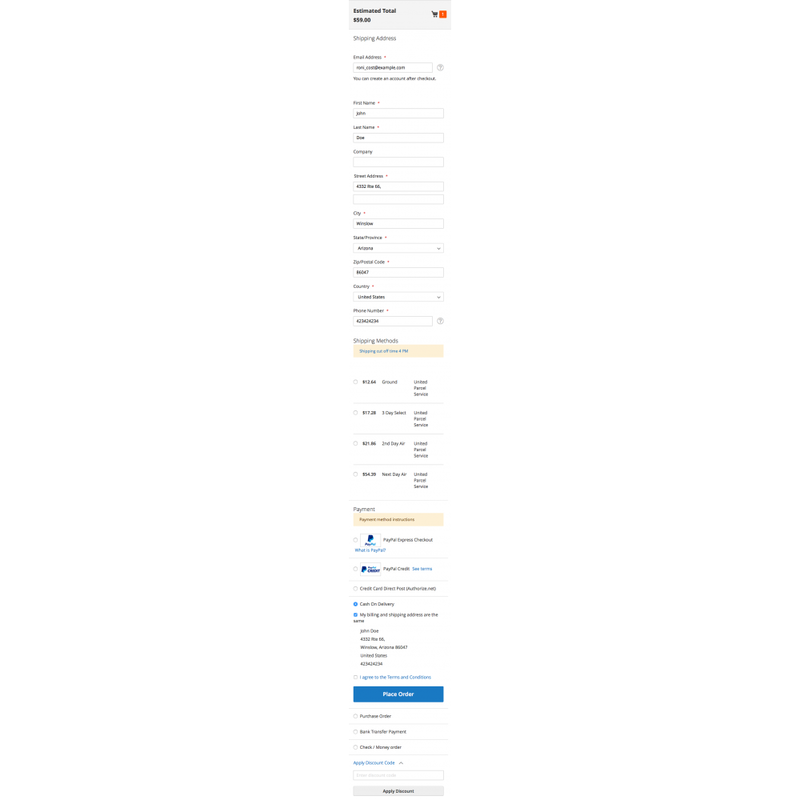 Place Order button in the payment method section. Place Order button in the order review section.